Bill Darlison: Roads for Travelling Souls: Leo (1): Who am I? 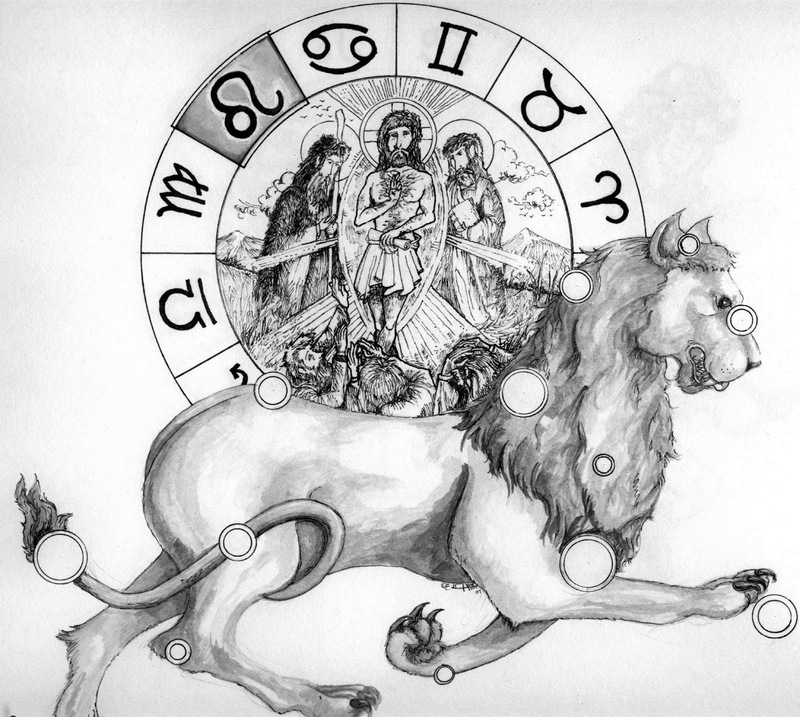 Leo, the Fixed Fire sign, is the sign of the sunshine, and is the only sign said by the ancient astrologers to be ‘ruled’ by the sun. Charles Carter calls it ‘the sign of divine splendour’. Its symbol is the lion, ‘the king of the beasts’ and it is associated with royalty, glory, creativity. Its principal star is Regulus, ‘the little king’, one of the four ‘royal’ stars of the ancient world. The second star in Leo is Al Giebha, said to mean ‘the exalted, the exaltation’ and Zosma, in the Lion’s tail means ‘the shining forth, the epiphany’. Its decans are Corvus, (the Raven), Crater (the Cup), and Hydra (the Fleeing Serpent). 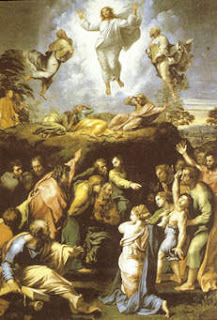 The Catholic Church celebrates the Feast of the Transfiguration on August 6th, when the sun is in Leo. He said to them, ‘I’m telling you the truth: there are some people standing here who will not taste death until they see the kingdom of God come in its power. After six day Jesus took Peter, James and John by themselves up into a high mountain, where he was transfigured before them. His clothing shone with intense whiteness, a whiteness which no bleaching agent on earth could possibly match. Elijah and Moses appeared to them, and were talking with Jesus. Peter, dreadfully frightened like the others and not knowing what to say, responded with, ‘Rabbi, it is wonderful for us to be here. Let us make three tents: one for you, one for Moses, and one for Elijah.’ Then a voice issued from an overshadowing cloud, ‘This is my son, the beloved. Listen to him!’ Suddenly, looking round, they saw no one with them, only Jesus. A farmer found an eagle’s egg and put it in the nest of one of his hens. When the egg hatched, the little eagle found himself among dozens of chickens. He thought of them as his brothers and sisters, and as he grew up with them he became like them. He never learned to fly. Sometimes he would flap his wings a little, just as he saw the hens doing, but, like them, he never really got off the ground. Sometimes, in his dreams, he would seem to be a great bird, carrying off small animals in a strong beak to his nest way up at the top of a high mountain, but when he awoke he would content himself with scraps from the farmer’s table, and grubs from the ground. One day, when he was old, an eagle flew over the farm. ‘What’s that magnificent bird?’ he asked his friend. So, the eagle who hatched among the chickens lived his whole life like a chicken, because that’s what he’d been told he was, and that’s what he thought he was. (Gospel of Thomas, saying 67). If you were to be asked the question, ‘Who are you?’ how would you answer? No doubt you have been asked the question many times, and you have probably responded by giving your name. ‘I’m Bill Darlison,’ I’ve said on numerous such occasions. When pressed I could easily extend my answer by describing my physical features, giving my age, my address, mentioning the various roles I play in life – husband, brother, uncle, minister, etc., and then maybe talking a little bit about my interests and predilections. Does this do it? Do these few sentences give an adequate account of my identity? Some people would say that they do. I am the sum total of the roles I play and the relationships I form. I have no identity beyond these things. There is no ‘Self’ which stands outside, no intrinsic, internal ‘I’. I am my physical actions and my brain patterns, a pretty sophisticated mechanism, no doubt, - ‘thinking meat’ in the words of our second reading today - but a mechanism nevertheless. I have quite a collection of these scientific and philosophical assessments of the human being. I began to collect them when I spotted something written by Marcus Chown in the Guardian about a decade ago: ‘A total eclipse confronts us with a truth we would rather not face. The truth is that we live on a tiny clod of cold clay in an insignificant corner of an infinite cosmos. In the great scheme of things, our lives are of no importance whatsoever.’ Chown’s sentiments were echoed a few years later, by Jim Herrick, editor of the New Humanist magazine, who spoke of, ‘The puniness of the self in the face of the vastness of the universe.’ And George Monbiot, who writes on ecology in the Guardian, is no less stark in his assessment: ‘Darwinian evolution,’ he writes, ‘tells us that we are incipient compost: assemblages of complex molecules that – for no greater purpose than to secure sources of energy against competing claims – have developed the ability to speculate. After a few score years, the molecules disaggregate and return whence they came. Period. As a gardener and ecologist I find this oddly comforting’ (Guardian, 16th August, 2005). I was going to say that these viewpoints are almost exclusively male, but then, yesterday, curious as to whether Saturday’s Guardian would supply me with some material for Sunday’s sermon (as it has regularly done in the past! ), I came across this little piece on the penultimate page of the Review. In a review of a new book edited by John Brockman, in which 100 eminent thinkers are asked, ‘What’s Your Dangerous Idea?’ the psychologist Susan Blackmore is quoted as saying that her dangerous idea is that even her contribution to the book is merely the result of ‘memes competing in the pointless universe’. Her idea is even considered ‘chilling’ by the book’s reviewer, P.D. Smith (Guardian Review, page 16, 4th August 2007). I don’t know whether, as a species, we are dealing with it adequately. Perhaps we can never deal with it. What price morality when, ultimately, a human being is worthless? I’m not saying that people who hold such a point of view cannot behave ethically; this would be a terrible slur on numerous such people of high moral calibre, but I sometimes wonder whether they adhere to their high principles in spite of rather than because of their philosophical convictions, and whether people like Trotsky, who declared that we must ‘rid ourselves once and for all of the Quaker-Papist babble about the sanctity of human life’, or Stalin who said, ‘One death is a tragedy, but a million deaths just a statistic,’ were not being more faithful to the contemporary scientific and philosophical ethos. Ralph Waldo Emerson, poet, philosopher, and one-time Unitarian minister, sums up this alternative point of view in one sentence: ‘Man is a god in ruins’, he declares. So, you take your choice. Maybe we have to say that the conclusion we come to depends on when we ask the question – at some times we feel like gods, at others like the universe’s flotsam and jetsam. Maybe we can be intellectually convinced by the scientists, and emotionally convinced by the religionists. However we answer the question, we can’t escape it, and this time of the year is a particularly good time to ask it because the zodiacal sign Leo, which the sun entered on 22nd July, is the sign which, to the ancient astrologers, symbolised the intrinsic identity of the human being. It’s not too difficult to see why this is appropriate: the sun, the ‘heart’ of the universe, symbolic of consciousness, is at its most powerful at this time of the year (in the northern hemisphere, of course, where this kind of thinking developed), and people born around this time do seem to display a strong sense of their own individuality and worth regardless of their philosophical convictions. Leo is the ‘aristocrat’ of the zodiac, and those in whom the principle operates most strongly like to be ‘king’ and ‘queen’ of their own circle, no matter how restricted. There is often a strong need for self-display, for being ‘centre stage’, which can manifest as superiority and bossiness. The lion, ‘king of the jungle’ has been associated with this time of the year for millennia. But that sense of pride and pre-eminence are just the psychological expressions of the essence of the sign. To the ancient astrologers Leo, whose principal star is called Regulus, the little king, was ‘the sign of divine splendour’, the sign of the sun’s greatest power, its all-consuming fire and all-illuminating light reflecting the very energy, power, and might of God. All the zodiac signs were said to be ‘ruled’ by one of the planets, some planets ruling two signs each. But only one sign is ruled by the sun: Leo. The name ‘Christ’ means ‘the anointed one’. All of us are anointed ones. We are all royal persons, creative, godly, divine, persons of beauty and of grace. We are all Cosmic Christs, ‘other Christs’. But what good is this if we do not know it? Everyone is a sun of God as well as a son or daughter of God, but very few believe it or know it. The ones who do Meister Eckhart calls ‘the enlightened ones.’ (Original Blessing, page 137). Put these things in modern dress. ‘What, according to contemporary thinkers, is a human being?’ Some say, ‘a cosmic accident’; others ‘a hairy bag of chemicals’; others, ‘incipient compost’. But what do you say a human being is? This is the mystic’s answer: ‘A human being is an infinitely precious child of God, an irreplaceable spark of the divine, with a glorious and eternal destiny.’ You may appear to be a nobody, but in reality you are a royal personage. You have been told that you are a lowly chicken, but in essence you are a superb eagle. And so is everyone else. Now this, I suggest, is the basis for a genuine morality. The next scene of the Gospel ratifies Peter’s answer as Jesus is transfigured before them, his clothes gleaming whiter than any bleaching agent on earth could render them, or, as Matthew’s Gospel says, ‘his face shining like the sun’ (Matthew 17: 2). This is the real nature of the human being. When we see beyond the outward appearances, beyond the status and the clothing, beyond the flesh, blood, and bone, we see a vision of an eternally precious and infinitely beautiful being, the very offspring of God. This is the deepest, most consoling spiritual truth of all. It has power to transform our lives and our attitudes like no other. The English mystic Edward Carpenter writes: ‘Once you really appropriate this truth (i.e. your identity with God), and assimilate it in the depths of your mind, a vast change (you can easily imagine) will take place within you. The whole world will be transformed, and every thought and act of which you are capable will take on a different colour and complexion’, (The Origin of Pagan and Christian Beliefs, page 303). This is the real meaning of these strange stories, and I’m sure the earliest Christians did approach them in this way. One clue that this is so lies in the celebration of the Feast of the Transfiguration. Do you know when it is? Tomorrow. August 6th, when the sun is in the very centre of Leo. Tomorrow Catholics will be proclaiming the undoubted truth that Jesus was a manifestation of God; but the higher truth is that we all are.